3033 Wilson Boulevard is situated in Downtown Arlington, making it an ideal location for anyone looking to rent office space in Clarendon. Only a block from the Clarendon Metrostation it is a commuters dream come true. Situated at the intersections of North Highland Street and Wilson Boulevard it is nestled among the best dining and entertainment the Clarendon area has to offer. Grabbing a power lunch, formal client dinner, or a quick happy hour cocktail with colleagues or clients is convenient with the Clarendon Grill, the American Tap Room, Whitlows on Wilson, and a dozen other local favorites just moments away. This locations central proximity to all of the major companies, nonprofit organizations, and Federal agencies in the area make it ideal for those business executives on the move by car or metro rail. Located only moments away from the metro-accessible Washington Reagan Airport and Union Station our Clarendon location is perfect for the frequent traveler. Members at 3033 Wilson Boulevard in Clarendon have access to number of space options to choose from including private executive offices, office suites, and coworking desk solutions for road warriors. 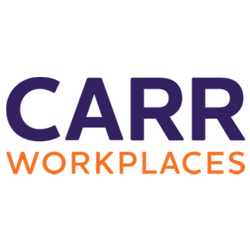 The 3033 Wilson Boulevard Carr Workplaces location offers members access to all of our convenient and efficient on-demand business support services, such as IT support, front office and back-office support, access to our Café Workspace Plan, and concierge services, among many more.